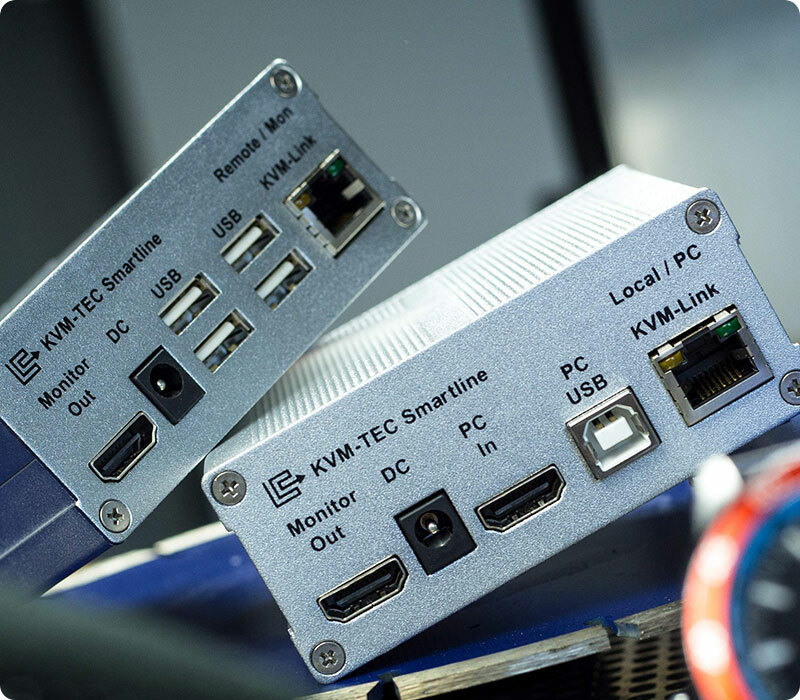 Smartline SVX1 Single KVM extension over IP and CATx system supports HDMI and USB 2.0 signals. The transmission distance of 492 feet over a single CATx cable is completely lossless. 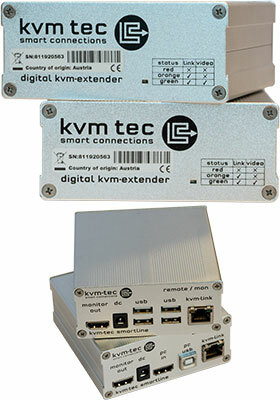 SVX1 Smartline Single KVM extender supports resolution of 1920x1200 @ 60Hz. Optionally, you may connect the Local (PC) and Remote (MON) units to a 1GB Ethernet network switch, which will in turn support a total point-to-point extension distance of 984 feet (300m). A perfect tuning of the kvm-tec video compression with a low latency time enables the signals to be transmitted without delay. USB and video signals are transmitted via the same CATx cable. The HDMI extension without loss of quality allows Full HD video to be transmitted in real time. The transparent USB 2.0 interface supports keyboard, mouse, tablets and touch screens, sound modules, printers, smartcard readers, serial adapters and more. USB Save - kvm-tec's security feature - prevents the intrusion of computer viruses via the transparent USB interface by disabling mass storage devices support such as USB sticks and external hard disk drives. An SVX1-MO USB 2.0 memory option is available (purchased separately) supporting USB memory stick and USB hard drive. When enabled, this option allows the use of a USB memory stick or a USB hard drive for transferring data. With the optional SVX1-SWO matrix switching system upgrade (purchased separately), SVX1 can be used with a dedicated 1GB Ethernet network switch to create one-to-many and many-to one configurations, or even a complete many-to-many KVM matrix switching system without any additional hardware. SVX1 on-screen display (OSD) system is then used to control the connections of your matrix.